Forged in the extreme pressures and temperatures of the Earth’s mantle, diamonds are, at their most basic, crystals of compressed carbon. Though they may seem simple, the process of diamond formation is very complex. And as new research shows, the origin story of some diamonds—perhaps all diamonds—involves an unexpected bit player: the ocean. As geochemist Yaakov Weiss and colleagues show in a new study, diamonds from Canada’s Northwest Territories owe their existence to an ancient ocean. Seawater from the Jurassic period—150 to 200 million years ago—was trapped in a massive slab of Pacific Ocean crust, which was forced under the North American continental plate. The seawater-laced crust moved deeper into the Earth, eventually reaching the mantle hundreds of kilometers below the surface. The salt water reacted with the mantle rocks and changed their chemical composition, allowing diamonds to grow. Diamonds are more than just carbon, and some are more expensive than others. While some are gorgeous and radiant and shine with the gemstone’s characteristic fire, others are cloudy and drab, full of fluid impurities that strip them of their luster. While these dull fibrous diamonds are worthless to jewelers, they’re invaluable to scientists. “What those fibrous diamonds give you are the fluids—in their original form—that [reacted and] changed the chemistry of the deep lithosphere,” says Weiss. These lackluster diamonds grow much more quickly than the monocrystalline variety—the clear and colorless gems familiar to most people. Because of this, they capture millions of tiny samples of the fluids and rocks that existed around them when they formed. Once they migrate up to the planet’s surface, fibrous diamonds serve as a scrapbook of the chemistry in the mantle. By analyzing the liquid trapped in 11 fibrous diamonds pulled from deposits in the Northwest Territories, Weiss and his colleagues found chemical evidence tying the fluid to ancient ocean water. Based on additional analyses of diamonds from West Africa, Weiss suspects that fibrous diamonds from across the globe formed from this same process. Even jewelers’ monocrystalline diamonds may owe their existence to subducted ocean water, he says. “Diamonds provide a deep time record of the planet’s carbon cycle, especially during episodes of major changes in the development of the crust and atmosphere,” says geophysicist Steven Jacobsen, who wasn’t involved in the research. “The study highlights how our atmosphere, crust, and mantle are connected through plate tectonics,” as well as how the global water and carbon cycles work together, he says. Weiss plans to analyze more fibrous diamonds from other mines across the planet to see if he can glean anything else about the geologic processes that take place deep within the Earth. Joseph Bennington-Castro is a science writer who holds a graduate degree in science journalism from New York University. His work has appeared in Live Science, National Geographic online, Scientific American, Wired UK, and USA Today, among other venues. Except for a brief adventure in New York City, Joseph has lived his entire life in beautiful Hawai’i—and he wouldn’t dream of it being any other way. 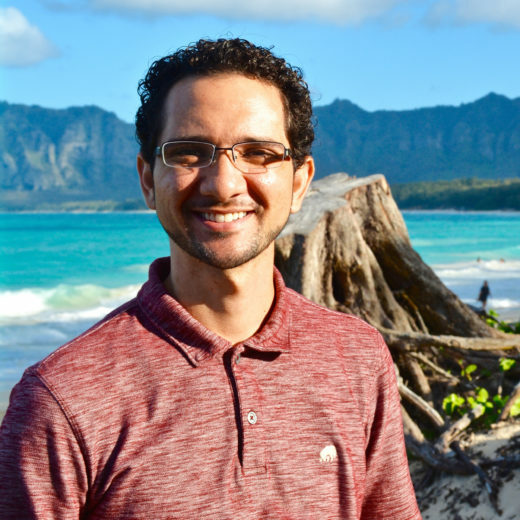 Cite this Article: Joseph Bennington-Castro “How Diamond Formation Depends on the Ocean,” Hakai Magazine, Aug 19, 2015, accessed April 25th, 2019, https://www.hakaimagazine.com/news/how-diamond-formation-depends-ocean/. Caribbean Sea shipwrecks offer a high-resolution record of historical hurricane activity, which could be used to tune climate models.